This is the first English translation of Miftah al-falah, a thirteenth century Sufi text, written by Ibn Ata Allah, one of the great masters of the Shadhili Sufi order. It is considered to be one of his most important works because it sets out the principles of actual Sufi mystical practices, shedding light on the sacred invocations, and associated practices, such as the spiritual retreat. 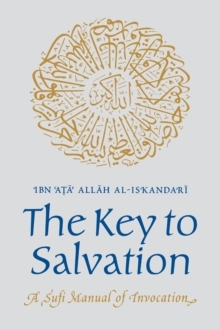 Written in a clear, lucid style, it offers a glimpse into the Sufi world of the 7th Islamic century and allows us to see almost at first hand how the novice was guided by the Sufi Shaykh and, above all, the purpose and preparation involved in engaging in the invocation, dhikhru'llah. Ibn Ata' Allah sets out to define it, to explain its nature and power, to show its results and to prove that it is part of the Prophet's Sunna, or practice. The author goes to great lengths to point out many Qur'anic verses where dhikru'llah is mentioned and cites many noted authorities.